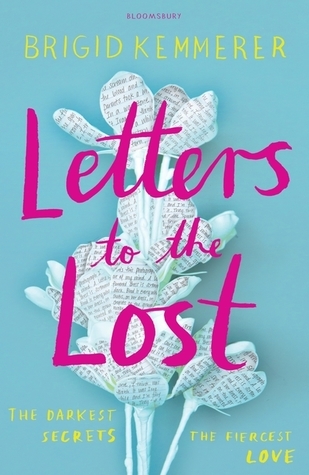 Letters to the Lost by Brigid Kemmerer is an absolutely brilliant novel that is passionate, emotional and endlessly heart-warming. Juliet Young has always written letters to her mother, a renowned photographer who traveled the globe searching for the next world changing shot. Even after her death, Juliet has continued to write to her mother to cope with her loss; leaving letters at her mother’s grave. She just never expected to receive a response. Declan Murphy is used to people making up their mind about him. He has a reputation and is known for being a black sheep. No one stops to wonder about the truth surrounding his life. After one mistake sees him doing community service attending to lawn maintenance in the local cemetery, Declan finds himself reading a letter left at one of the graves and being caught by its haunting pain and honesty. Writing back was just a spur of the moment response; he certainly wasn’t anticipating that the original author would reply in kind. Soon the two teens are exchanging correspondence with each other, opening up with who they believe is a perfect stranger. Yet as their lives at school begin to intersect, Juliet and Declan are about to discover truths that may tear them apart forever…. Letters to the Lost is a beautifully written and superbly explored novel about the power of both the written and spoken word and the impact being honest and telling the truth can have on those around you. Brigid Kemmerer has always been an author I look forward to reading ever since I first read her Elemental series but with every novel she releases I find myself falling even further under her spell. The woman has talent, plain and simple and Letters to the Lost is without a doubt her best novel yet. Written through both Juliet and Declan’s varying POV’s as well as through written letters and shared emails, Letters to the Lost details a poignant and powerful story alight with chemistry, depth and emotion. Kemmerer explores some powerful and important themes seen throughout today's society including loss, alcoholism, adultery, anger and alienation as well as the impact these issues can have on a young adult during a particularly difficult time in their life. The main characters are powerful voices easy to relate to and impossible not to adore. Different though similar, their connection is beautifully explored by Kemmerer and her ability to instill so much attraction and chemistry through letters and brief interactions is fantastic. I felt I knew both Juliet and Declan and their relationship and the blossoming romance between them was perfectly detailed. Fantastically written, Letters to the Lost features tangible characters and a wonderful romance. Juliet and Declan were easy to love and follow. Brigid Kemmerer has woven together a wonderfully told story and I'm very much looking forward to reading the companion novel featuring the beguiling and intriguing Rev! Final Thoughts: I'm so sorry I took so long to read this book as it's just AMAZING!